Maura joined DeFur Voran in October 2017, bringing her legal experience to the areas of business, zoning, municipal, and governmental relations. Ms. Hoff has represented numerous elected officials and appointed bodies throughout Indiana and has also served in an administrative judicial capacity for a variety of local and state agencies. As part of her undergraduate and legal education, Maura lived in Strasbourg, France, where she studied European culture and legal systems. She is a graduate of the Richard G. Lugar Excellence in Public Service Series, the State’s foremost leadership program for women in politics. 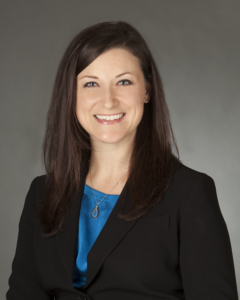 She has been named to the SuperLawyers “Rising Stars” list four years in a row. Maura resides in Yorktown with her husband, Ryan, and their daughter.